In the context of Design Miami, of which it has been the exclusive champagne sponsor since 2012, Maison Perrier-Jouët is celebrating its long-standing ties with the world of art and creation. 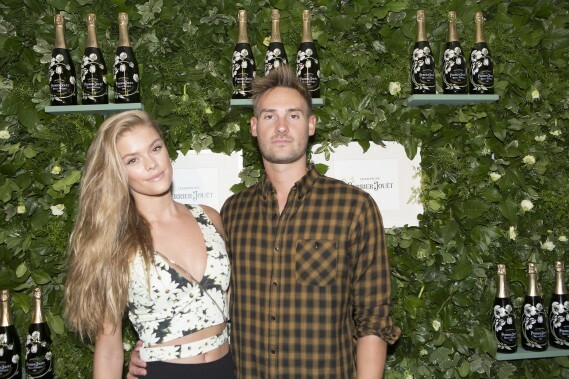 Among the exciting initiatives marking the luxury champagne house’s presence in Miami this year are L’Eden by Perrier-Jouët, an exclusive event at Faena Hotel Miami Beach, opened specifically during Design Miami week, the unveiling of its latest Art piece designed by maker Ritsue Mishima at Design Miami/ 2015, and a one-of-its-kind pop-up space at Miami International Airport. Maison Perrier-Jouët last night inaugurated L’Eden by Perrier-Jouët with a dazzling party for 200 guests, featuring a stunning performance by singer Andra Day, one of the most exciting one-to-watch American singer. 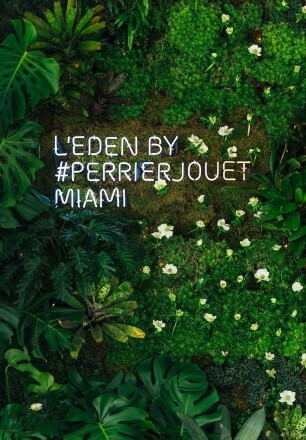 L’Eden by Perrier-Jouët will also become the Miami base of famous Parisian nightclub Raspoutine for 2 nights. Inspired by the power of nature to transform the urban landscape into a unique and enchanting world apart, L’Eden by Perrier-Jouët is a preview of an original concept destined for cities around the globe. It is named after Perrier-Jouët’s mysterious Eden cellar in Epernay, where the House’s rarest and most prestigious champagnes are kept, and to which the Cellar Master possesses the only set of keys. 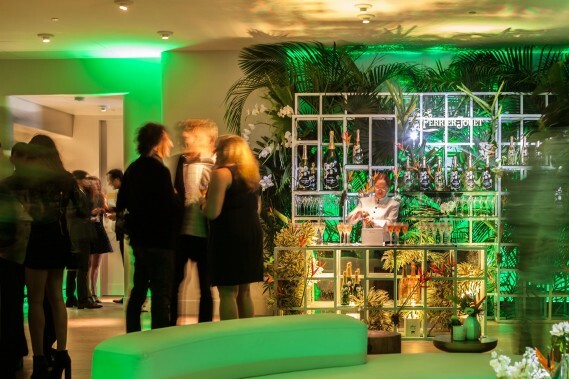 Guests arriving at L’Eden by Perrier-Jouët were welcomed into the exclusive penthouse suite, transformed for the occasion by luxuriant vegetation. It is scheduled to remain open throughout the duration of Design Miami/ 2015, with its extravagant natural installations mysteriously transforming from day to night to offer visitors distinct ambiances and unique experiences. L’Eden by Perrier-Jouët is the latest and boldest manifestation of the House’s historic mission to bring beauty to utility and poetry to everyday life. Founded in 1811, Maison Perrier-Jouët has a long and proud legacy of associations with art and nature. These include its commissioning in 1902 of the Art Nouveau master Emile Gallé to design the white anemone motif which decorates its iconic Cuvée Belle Epoque champagne bottle. Perrier-Jouët’s most recent creative collaboration, with Japanese artist Ritsue Mishima, is being unveiled at Design Miami/ 2015. Her experiential installation in Murano glass, entitled All’ombra della luce (In the shadow of light), was partly inspired by the garden of Perrier-Jouët’s historic Maison Belle Epoque in Epernay. Perrier-Jouët believes the role of nature is very important with its almost mystical power to conjure a sense of beauty and wonderment – an enchantment experienced by all who stepped inside L’Eden by Perrier-Jouët.